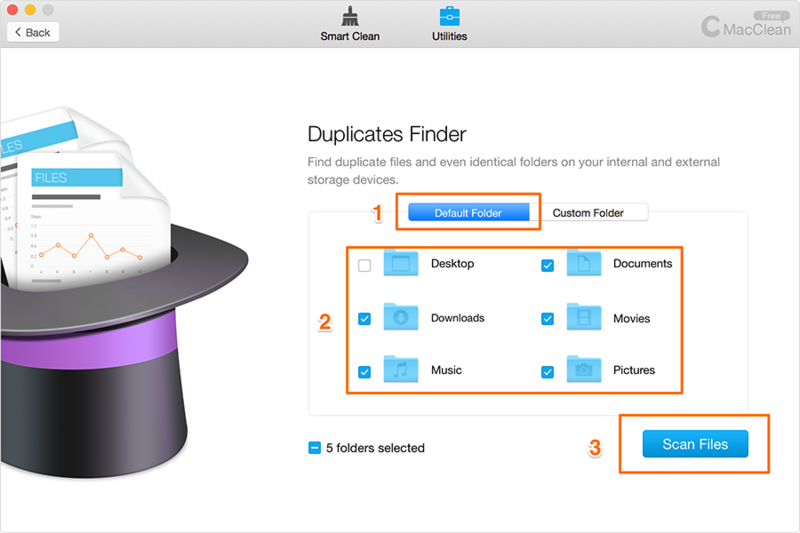 It's pretty tricky to tell how many duplicate files on your Mac with the Finder's search option. 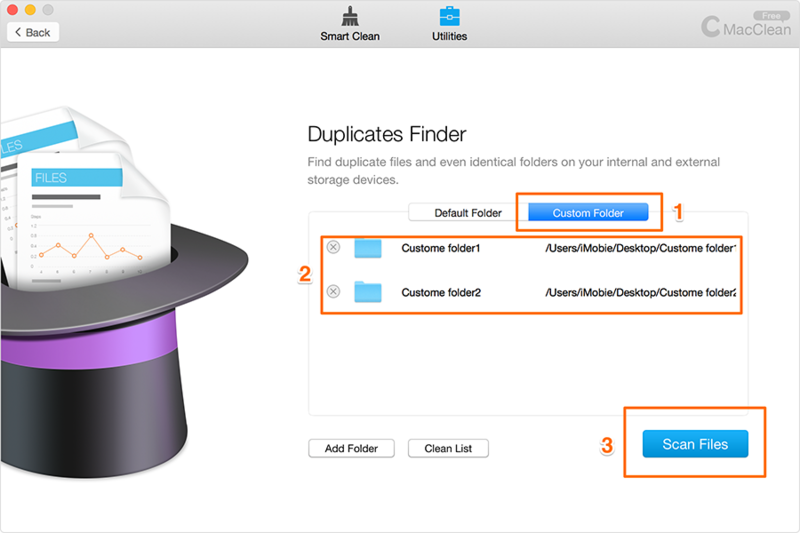 MacClean gives you one-stop solution to find all your identical files and folders, so that you can choose which of them are wasting your disk and remove them with few clicks. 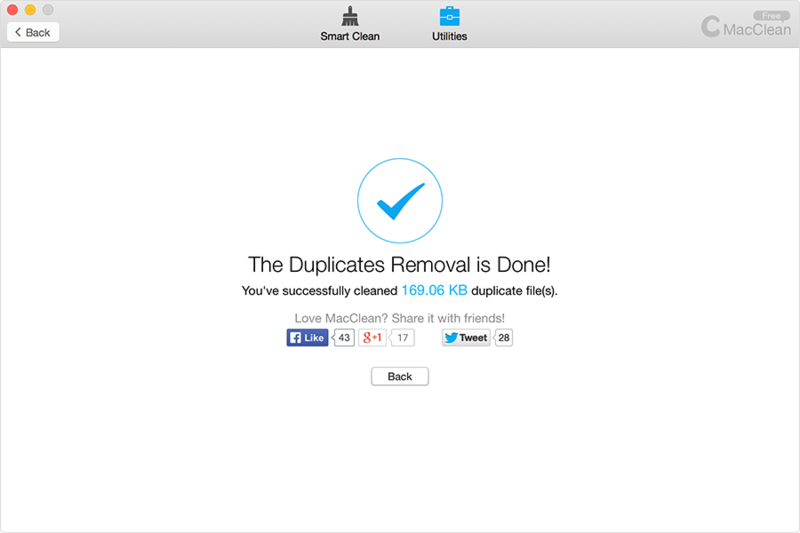 After scanning, MacClean lists the duplicated files that are potentially safe to remove. 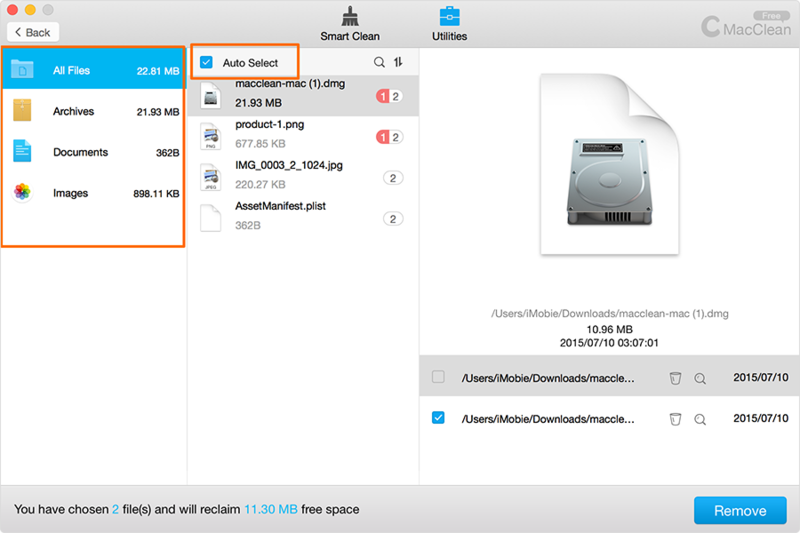 In the left side, MacClean classified the files with different categories. You can tick the file manually in the lower right corner or click "Auto Select" to select automatically. 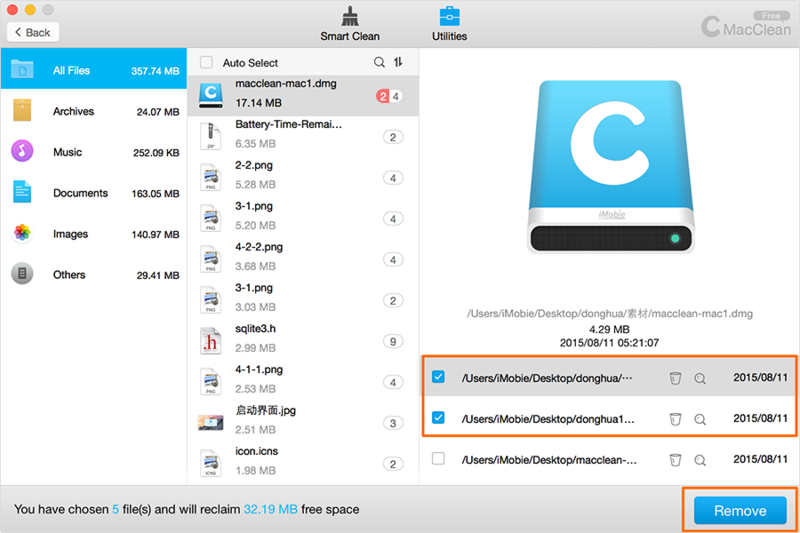 After pre-checking finishes, you can click Remove button to clean files you choose. 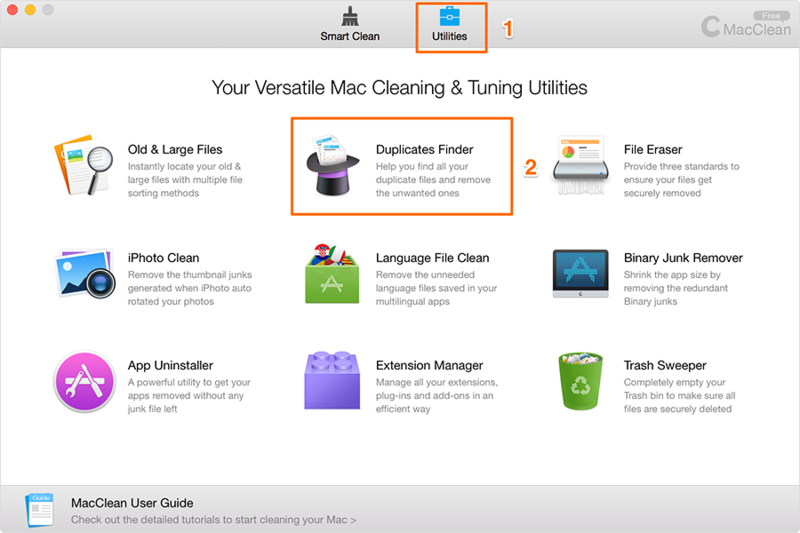 After removing duplicate files, you can share MacClean with your friends if you find this feature is good to use.